The TRAILBLAZER-ALZ Study is looking at an investigational drug for people having problems with memory loss or confusion. This clinical research study will examine if the investigational drug may help to slow or stop memory loss in people with early stages of Alzheimer’s disease. The study will last for up to 2 years and 7 months. About 266 people from the United States and Canada will participate. All study-related care will be provided at no cost. Purpose: To evaluate whether 18 months of moderate to high intensity exercise will improve cognition in older adults with Mild Cognitive Impairment (MCI). Time commitment: You will be asked to complete a total of 7 clinic visits over the course of the study and participate in a structured exercise program 4 days a week for 18 months. The total time commitment is 20 months. Anticipated benefits: You will receive an 18 month membership to the YMCA. Participating in the exercise program may or may not improve your condition. The information collected from this study may increase knowledge regarding the treatment of Alzheimer’s disease and help people in the future. $100 for each completed MRI scan; there are 2 MRI scans ($200 max). $75 for each completed lumbar puncture (optional) ($150 max). 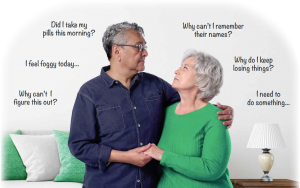 ARE YOU OR IS SOMEONE YOU KNOW EXPERIENCING MEMORY LOSS? Researchers at UCI and UCLA are conducting a new study to test whether high doses of nicotinamide (a component of vitamin B3) can halt or reverse neurofibrillary tangles in Alzheimer’s disease. Purpose of Study: To evaluate whether nicotinamide, also known as vitamin B3 or niacinamide, can reduce phosphorylation or “over-processing” of tau (the protein that accumulates in neurofibrillary tangles) in people with Mild Cognitive Impairment or mild Alzheimer’s disease (AD) dementia. Eligibility: Men and women, aged 50 years and above and diagnosed with Mild Cognitive Impairment or mild dementia due to Alzheimer’s disease. Anticipated Benefits: You may or may not benefit from participating in this study. The information collected from this study may increase knowledge regarding the treatment of Alzheimer’s disease and help people in the future. Reimbursement: Participants will not be reimbursed for travel-related expenses. Feedback is provided in a family conference and/or a report, as most appropriate. Upon death, with the family’s permission, we perform a brain autopsy and provide final confirmation of the diagnosis. To determine eligibility, one of our research coordinators will interview you by phone and may ask you to complete some paperwork and/or come into the clinic for an in-person screening. There is no charge to participate in any of our research studies. If you are interested in joining the Longitudinal Study or would like more information, contact 949.824.0008 or research@mind.uci.edu. 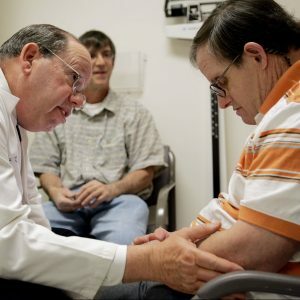 Researchers at the University of California, Irvine, under the direction of Dr. Ira T. Lott, are recruiting adults (age 18 and over, both female and male) with Down syndrome for the study, titled “Brain Aging and Dementia in Down Syndrome.” This study is funded by the National Institute on Aging. People with Down syndrome comprise a special populations of individuals at risk for Alzheimer’s disease type dementia. The purpose of this study is to improve our understanding of brain aging and dementia in Down syndrome. Participants in this study may not revive any direct benefit to participation. Medical evaluations will be available to the participant’s physician. This study parallels research in Alzheimer’s disease within the general populations with a specific focus on Down syndrome. What is The 90+ Study? The 90+ Study is a research study to examine successful aging and dementia in those aged 90 years and beyond. People 90 years or older who live in Southern California and are willing to undergo study procedures. Clinical exams take place in the research office in Laguna Woods, CA or in your own home. 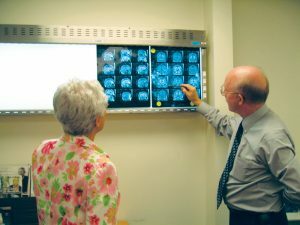 Brain imaging is done in centers in Irvine and Newport Beach, CA. Transportation is provided if necessary. What will The 90+ Study cost? There is no cost to you. The 90+ Study is funded by the National Institutes of Health. With your participation in The 90+ Study, we hope to learn ways to improve quality of life for people as they grow older. Your participation may help others reach 90 years of age and beyond in better health.